There’s been a lot of hype about Onnit’s AlphaBrain recently, but the price along with some of the ingredients have left many balking. While some of the ingredients are solid additions, others have nootropic fans wondering why they’re included at all. Over at Reddit, many users questioned the inclusion of Oat Straw, declaring it useless and with good reason: there is very little clinical or scientific evidence to support its supposed nootropic abilities. AC-11 is another inclusion that has raised many eyebrows. In a different Reddit post, users denounced AC-11 as a gimmick. One individual, /u/ZombieChalmers, went so far as to call it “a superfluous ingredient used to differentiate alpha-brain from other products”. Then there is the issue of cost. If you’re used to buying powders in bulk and capping them yourself, $34.95 for a 15 day supply or $79.95 for a 45 day supply may strike you as outrageously overpriced. In this case, the convenience does not outweigh the cost. Thankfully, there is a way to create a similar stack for way less and without the pointless supplements. That’s $81.68 for a 100 day supply of a very similar stack (thus breaking down to $36.76 for a 45 day supply and $12.25 for a 15 day supply). As you can see, this 100 day supply costs only slightly more than Onnit’s 45 day supply. That is awesome savings. Many prefer to buy supplements in bulk so as to avoid having to reorder stacks every month or so. 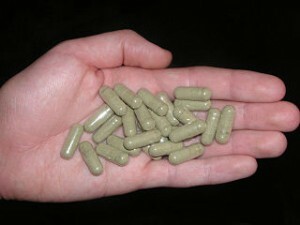 Additionally, these supplements are available in smaller and larger sizes for those who want to go smaller or bigger. Bear in mind, the larger the size, the more you save! While capping your own supplements may seem like a lot of work, it can save you big bucks at the end of the day, not to mention you can customize your stack to avoid publicity stunts and useless “nootropics” like Oat Straw. What Do These Supplements Do? Alpha GPC: This is a choline source that is great for improving memory and learning. There are multiple choline sources on the market; however, Alpha GPC has a higher absorption rate. Read more about alpha-GPC benefits. Huperzine A: This supplement helps with memory retention by increasing acetylcholine levels. Those looking to improve their memory and focus will benefit from an increase in acetylcholine. Vinpocetine: Vinpocetine enhances memory function and increases blood flow to the brain. Resveratrol: This antioxidant is perhaps most famously found in red wine and is known for it’s ability to boost cellular health, cardiovascular health, blood flow to the brain, and more. Phosphatidylserine: This supplement supports a strong memory as well as numerous neurotransmitter system such as acetylcholine, dopamine, seratonine, and more. NALT: NALT is believed to be easier to absorb/more bioavailable than L-Tyrosine. NALT transforms into L-DOPA, which is a precursor for many neurotransmitters such as dopamine, norepinephrine, and more. All of this can result in a boost in mood and cognitive function. L-Theanine: This is an excellent supplement to reduce anxiety as its stress fighting abilities promote a sense of calm and wellbeing. Additionally, theanine can support a healthy immune system. By the way, L-theanine and Phosphatidylserine are also part of this before bed stack for concentration. So there’s a reason these ingredients are also together for an expensive formulation like Alpha Brain.